Fastway combined the strength of the Evo 3 with the good looks of the Evo Air into the ultimate budget friendly footpeg! The Evolution 4’s feature all of Fastway’s technology wrapped into an all new body. If you can manage to hurt one of these pegs, your bike is likely looking for a spot in the scrap heap. These measure slightly longer than the Evo 3 and Evo Air pegs at 3.50" long by 2.25" wide. 3.50" long by 2.25" wide. 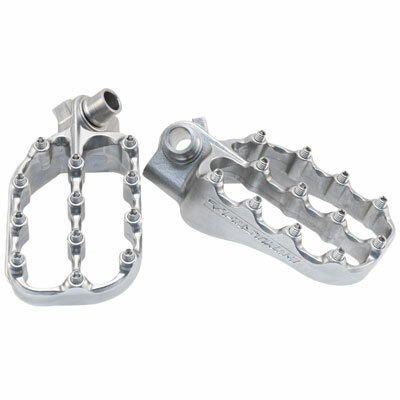 Will not work in lower setting on 06-09 YZ 450F, YZ 250F, YZ 125, YZ 250, WR 250F & WR 450F. 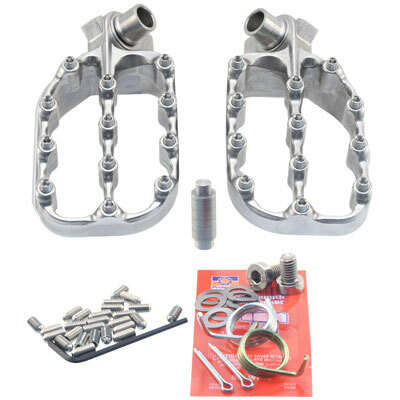 On the 03-07 RM 125 & RM 250, these pegs are 1" lower than stock and tilts 3°.